Bruna Silva, the winner of Miss Queen Portugal 2018, is the official representative of Portugal in Miss Earth 2019 this year. Being Miss Earth Portugal 2019, she holds the responsibility of representing her country with dedication and pride. The finale of Miss Queen Portugal 2018 witnessed the crowning of the new queen. The main motto of Miss Earth Portugal 2019 targeted at environmental causes. Bruna is a young 17-year-old diva who is embossed with a charming personality and is an active face in pageantry. Before winning Miss Queen Portugal 2018 (Miss Earth Portugal 2019) she participated in Miss Braga 2018 and there with the grace of her talent she won the coveted title, after which she gained the experience and right to represent in Miss Earth Portugal 2019. 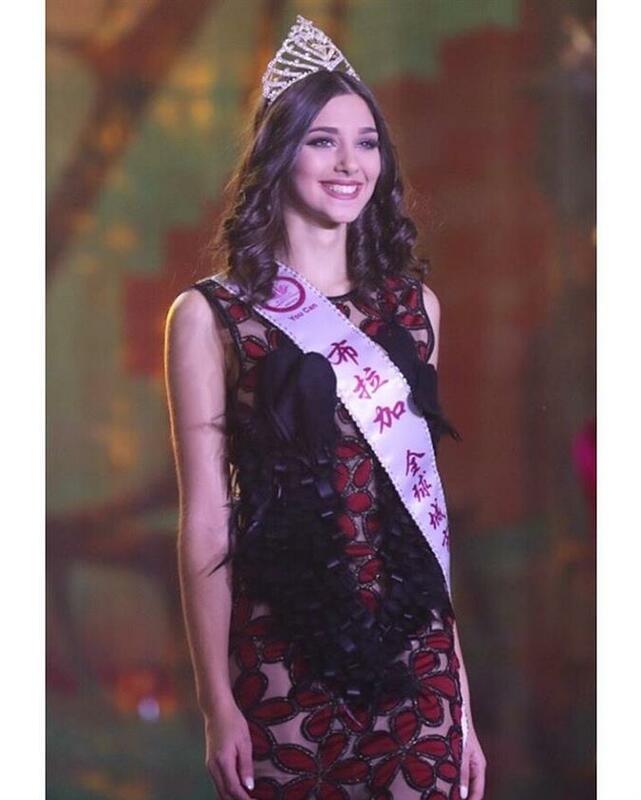 Recently Bruna was caught participating in 3rd Belt and Road International Fashion Week in Xian China where flaunted her beauty elegantly and paid her gratitude for receiving this opportunity. Her interests and active participation speaks greatly about her overall personality that she is a very dedicated and inspiring soul, who is definitely going to empower women in different aspects and leave a benchmark for the other girls in the country and provoke them to pop the best out of them and accomplish the desired goals. Bruna has packed her bags and is all set to roll her journey of Miss Earth 2019 and her zeal reflects that she is going to make a mark in the finale. Angelopedia wishes her all the very best!